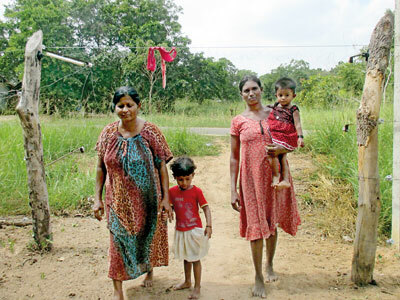 The villages of Egodapitiya and Muriyakulama in Karuwalagaswewa are two of the most interior and impoverished in the Puttalam district. 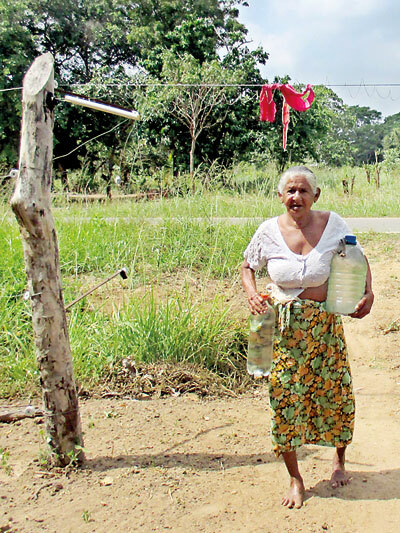 The 300-odd farming families living in these two villages face a constant threat from marauding wild elephants. The threat is so severe that it has affected almost every aspect of their daily lives. Herds of wild elephants enter the villages on a daily basis, breaking through barriers that have been put up to keep them out. 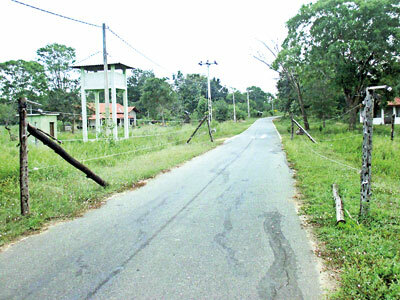 Electric fences put up by the government literally surround the villages and Egodapitiya and Muriyakulama may well be two of the most ‘wired in’ villages in the country in terms of electric fencing. Unfortunately this has done little to keep the pachyderms out. 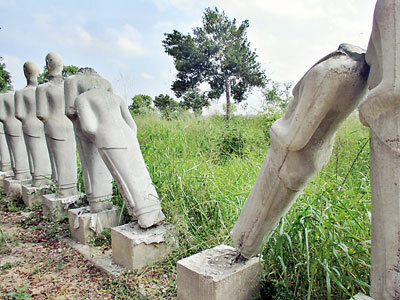 Villagers do not go out of their homes after 4.00 pm for fear of being confronted by elephants. Journeys to and after work are filled with an ever present danger. 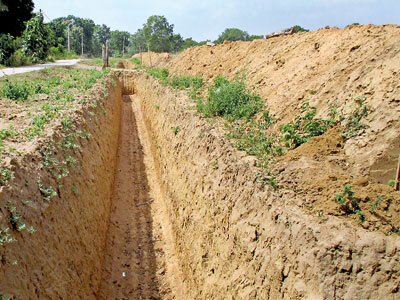 Families who can afford to, have taken to digging deep trenches around their land to keep the elephants out. For many others however, the only defence against marauding beasts are crude home-made electric fences put up around their properties. 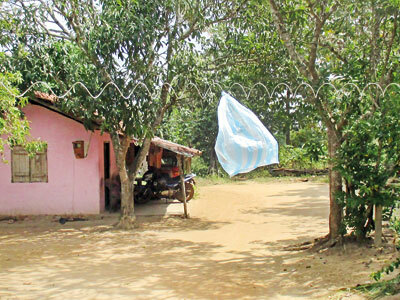 These live fences, fixed at low height, are extremely dangerous, and shopping bags and pieces of cloth are hung from them to warn people of the live fences. 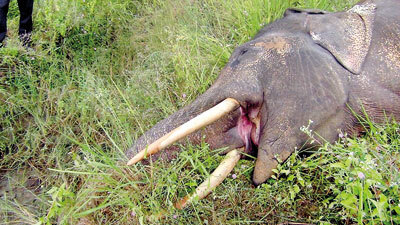 The sad cost of the man-beast war at Karuwalagaswewa. 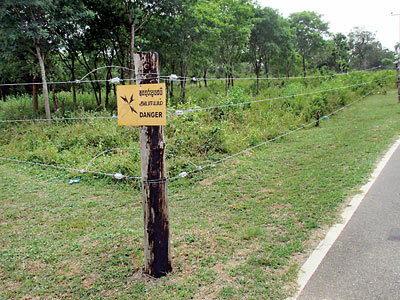 An elephant killed by a live-wire fence.